Looking for a quick and healthy appetizer for your next gathering? Look no further than this simple and tasty Mexican Bean Dip. My mom has been making this for years, and I’ve adopted it since (and made some slight adaptations to make it more health friendly). 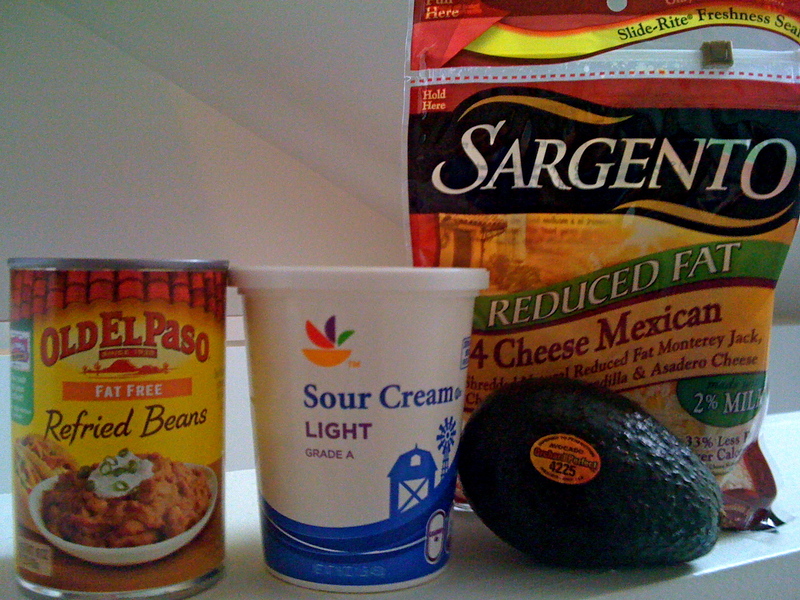 Fat free refried beans, avocado, light sour cream and reduced fat Mexican cheese. If you’re making a bean dip the size of a 9×13 dish I use 3-4 avocados. For smaller I use 2-3. Once you’ve got your ingredients all you need is another 5 minutes to make the dip. Start by mashing the avocado to make guacamole. Add garlic powder, salt and pepper as needed. But not too much, the other ingredients will provide the flavor. 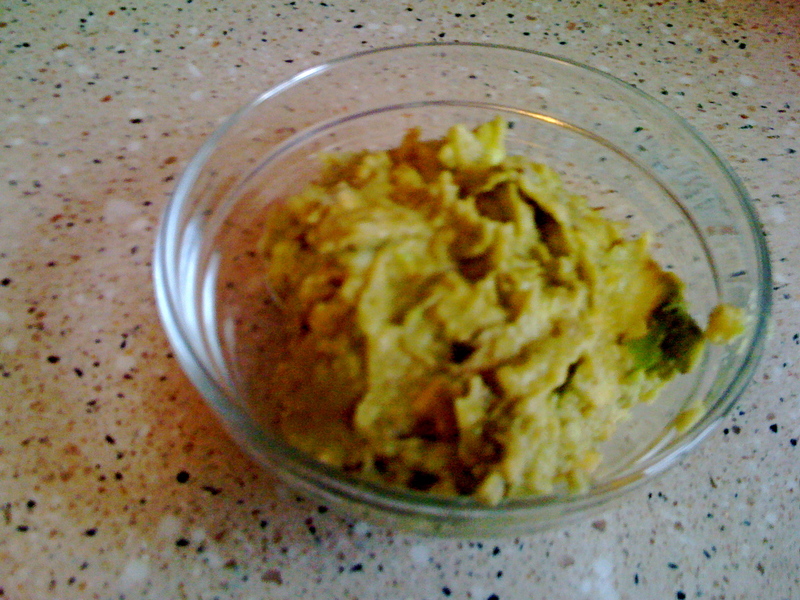 Spread the refried beans on the surface of the serving dish, then layer with the guacamole, then the sour cream. 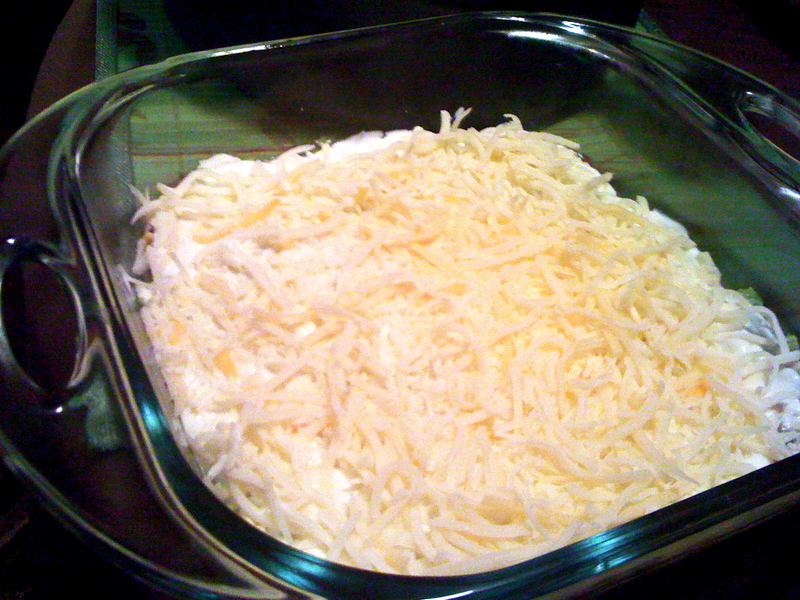 To finish sprinkle with cheese, and voila! Easy Mexican bean dip. Top with sliced black olives, if desired, and store in the fridge for a few hours. Then grab some hungry friends and serve the dip with whole grain chips. Don’t let the ease of this dish fool you, this dip has tons of flavor! Enjoy! Yay! I love reading blogs from other DC/MD bloggers!